KAROUN Grilling Cheese Halloom is a traditional Middle Eastern cheese part of KAROUN DAIRIES line of Mediterranean Dairy Foods.Popular in many regions in the world, it originated in the Eastern Mediterranean region. Karoun brand cheeses are now produced in Canada from first quality Canadian cow milk under the supervision of KAROUN DAIRIES S.A.L. 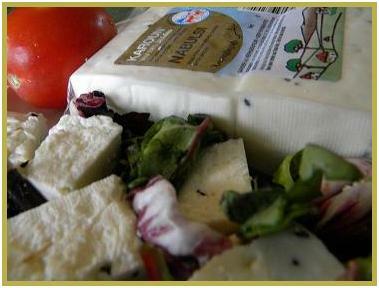 according to its strict quality standards and distributed by KAROUN DAIRIES INC. an all Canadian Company. KAROUN Halloom Grilling Cheese is a semi-firm unripened specialty white cheese which is boiled and folded. It is salty as most Mediterranean cheeses. 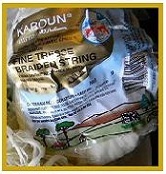 KAROUN Halloom cheese is suitable as a table cheese, in sandwiches, salads or paired with fruits. 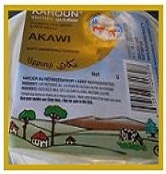 KAROUN Halloom cheese is available for sale in Canada.